A Quick Detailer is a specific product that is used to give the current layer of wax a ‘boost’ when it is a few weeks old and starting to show wear. A quick detailer is often referred to as a QD. It is possible that 1 product falls in different categories. Almost every quick detailer can also be used as a ‘final inspection’ product. Removing fingerprints after washing/polishing a car and safely removing dust when a car has been parked in a covered area for a long period of time. A quick detailer works by leaving a very small layer of wax and or polymers on top of the existing layer. The layer that is left behind can either bond with the underlying layer of wax or sealant, or can lie on top of it. In most cases the quick detailer is sprayed on a micro fibre towel and then smeared across the surface. 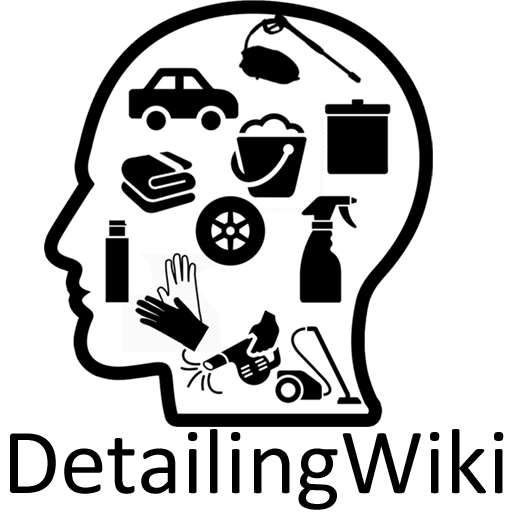 After a certain period (this can be a long period or a very short period) it is wiped or buffed off. Some quick detailers can be applied to a wet surface, which will dilute it slightly, break the surface tension of the water on the surface and might aid in drying. Others need to be applied to a dry surface. There are users that prefer to spray the quick detailers straight on the surface, however this is rarely recommended because the quick detailer might get into places that are very difficult to get into with the microfibre towel. This could mean that it dries up and leaves marks of dried up quick detailer. There is no strict rule for this. Some manufacturers sell their product already diluted and ready to use, other sell their product as a concentrate that needs to be diluted before use. In some cases they will recommend to dilute it with a certain ratio to use as a quick detailer, and dilute it in a different ratio to use as a claylube. When a product needs to be diluted it is recommended to do this with demineralized water. This special type of water doesn’t contain minerals and many other substances. When this dries up there is much less risk of watermarks or waterspots. When a car is covered in a protective layer, such as wax or a sealant, you need to keep an eye on its performance. When the behaviour of a protective layer (often based on the effects it has on water) indicates that the protective layer needs to be replaced with a fresh new layer, you might get confused when a quick detailer is used. 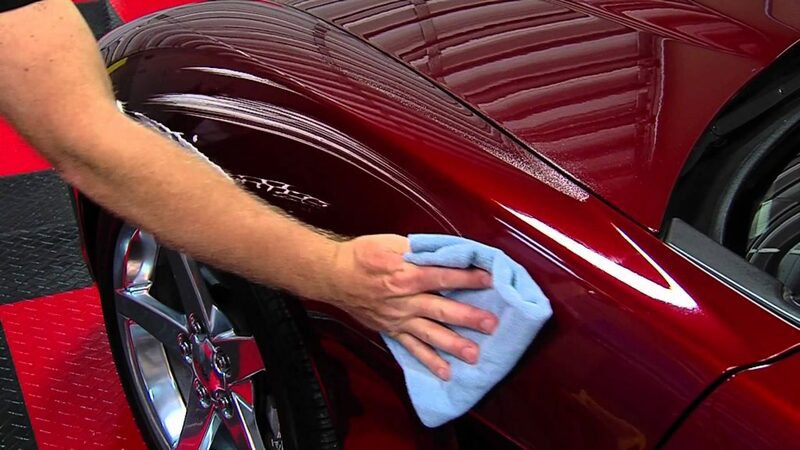 A quick detailer can improve beading and sheeting for a short period of time, mostly because the layer that interacts with the water is actually the quick detailer and not the protective layer underneath. The surface may show good beading and sheeting even though the layer underneath is worn and needs to be replaced. Many users and manufacturers speak of giving the layer of wax a ‘boost’, but this works in a very different principle. Wax is a self-sacrificial layer that becomes dirty over time and needs to be replaced when it has done its job. When using a quick detailer, you layer a very thin layer of wax and/or polymers on top of the old protective layer. In some cases the ingredients that are being used work very well together and can help the quick detailer to bond to the surface underneath, improving its performance. But in many cases it will just sit on top of it. ‘Boosting’ would imply that it revives the layer of wax underneath, which is not the case. However, it does ‘revive’ the water behaviour to increased beading and sheeting, even though this is very temporary.